Chuck Yarborough doesn’t have time to be proud. He is, of course, as we talk just one day after he took his oath as a member of The Plain Dealer News Guild’s executive board, which currently represents 68 employees. But with his union, Local 1 of the News Guild, facing another round of layoffs as contracts expire early this year, there’s too much work to be done to dwell on ceremonies. As negotiations wage on between the Guild and Plain Dealer ownership, New York-based Advance Ohio, Yarborough is raging against the machine the best way he knows how: by staging a rock ’n’ roll show. On Feb. 9 at Beachland Ballroom, a wide swath of Cleveland’s most prominent musicians will take the stage for the Concert For Truth. With a lineup including Alex Bevan, Michael Stanley, Brent Kirby and Diana Chittester, the show is designed to raise awareness and funds for the Guild’s effort to save the community’s only remaining newspaper. Even Yarborough plans to hop on the drum kit for a song or two, backing Doctor Joe and the Squeeze Play Band, an all-accordion rock ’n’ roll polka band. In a role reversal, Yarborough phoned in a favor from the same local musicians he’s celebrated and highlighted since the early '90s. From Stanley to Ray Flanagan, who Yarborough has covered since the songwriter’s participation in the Tri-C High School Rock Off, the answer from the other end of the line was, unequivocally, yes. Announced earlier this year, the Plain Dealer plans to cut at least 29 jobs at the end of February by outsourcing copy editors, designers and other roles. Twenty-four outsourced jobs include Guild members. The rest are in management. Since 2004, the union has been decimated, shrinking from 400 members to 68 employees. The most recent round of layoffs would put the group at 44 members, and more cuts might not be far off. If the cuts go through, you won’t likely lose your favorite columnist, but the highly trained professionals that serve as the backbone of the paper. 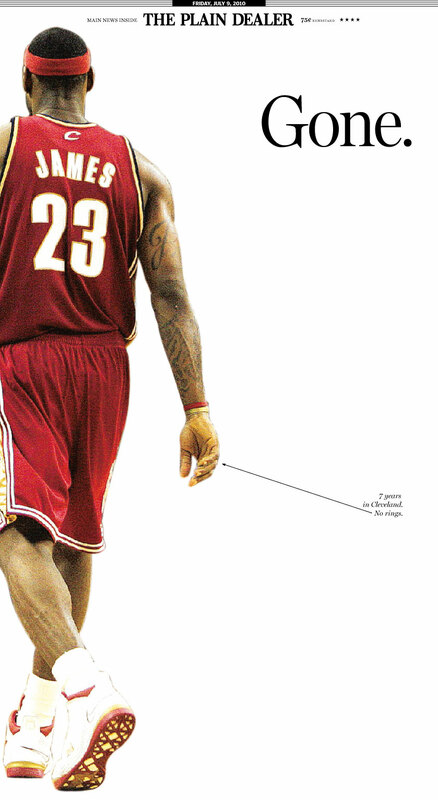 These are the people responsible for iconic moments such as the full-page spread titled “Gone.” when LeBron James left in 2010, as well as the miniscule details such as understanding the East-West divide and fixing a “Tuesday” that was actually supposed to be a “Thursday” in a recent Yarborough column. In the spirit of a Live Aid or Farm Aid, the Concert for Truth raises funds and awareness. Proceeds from the $10 concert and T-shirts go directly to Guild members who have been laid off. The money will help pay for food and insurance, as well as the Guild’s future endeavors. A fitting headliner for the night, Alex Bevan will perform his 2013 song, “Ink on Paper,” written the last time the Plain Dealer faced layoffs. The tune recalls his time delivering the very same paper he’s trying to help save and preaches its vitality to local democracy and freedom. The full lineup of that night’s performers will join him on stage to sing the song. Full Line-Up: Alex Bevan, Rachel Brown, Michael Stanley, Austin Walkin' Cane, Diana Chittester, Leonardo DiCosimo, Afi Scruggs, Charlie Mosbrook, Dr. Joe and the Squeeze Play Band, Brent Kirby, Ray Flanagan and David Spero (Emcee). Correction: A previous version of this article stated that the Plain Dealer News Guild would fall to under 40 members after job cuts. The outsourcing of Pub Hub jobs only includes 24 Guild members; the rest are in management. The Guild will still have 44 members.